Congrats to everyone who has made it this far! We have enjoyed putting this together so much! 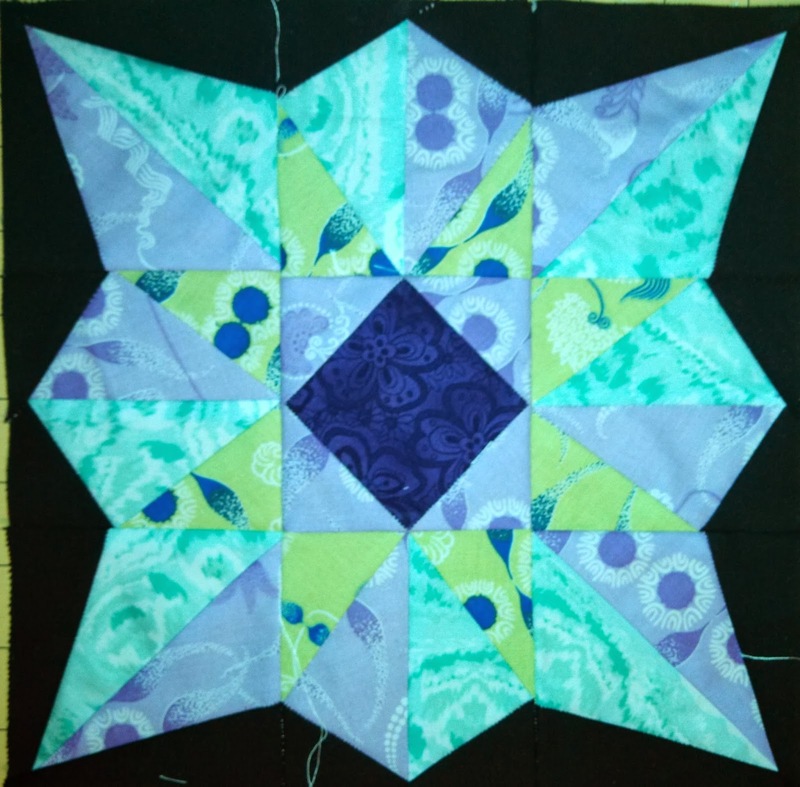 Please let us know if there is any types of patterns or techniques you would like to see in a future quilt along! Both Amanda and I made throw sized quilts. 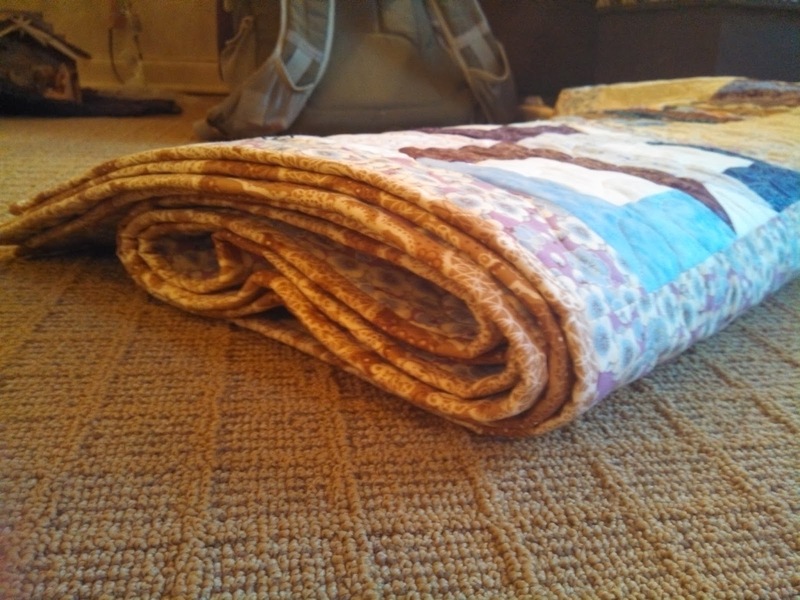 As per the setting directions, the finished throw size quilt is set on point. 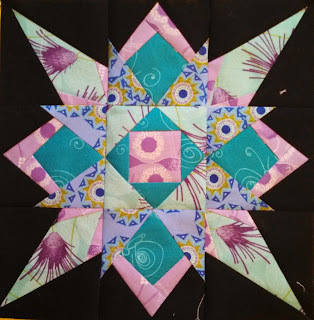 For both quilt sizes, there are three different options for sashing and cornerstones: sashing without cornerstones, sashing with solid cornerstones, or sashing with paper pieced corner stones. Amanda and I both chose to sash our quilts with paper pieced corner stones (use up more of that scrap!!) but still end up with very different looks. I chose to randomly piece my square-in-a-square-in-a-square cornerstone blocks color-wise using three different colors for each square. My inner border is a teal and lime print and my outer border is a tonal purple script print. I used the black background solid for my middle border. I picked out a large scale floral print for my background from Jennifer Paganelli's Pretty Please line for my background and matched the seam up the middle because I'm a little OCD like that. Amanda paper pieced square-in-a-square cornerstones and used the background fabric for the outer square so that it blends into the background. She used a red print for both the inner and outer borders and then used a peach for the middle border. 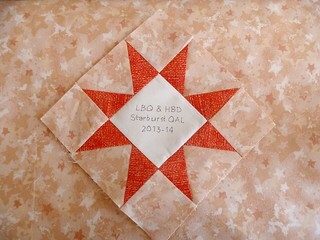 Amanda picked a peach tonal for her background and also made a simple star to use as a label on her quilt. Thank you so much for participating with us! 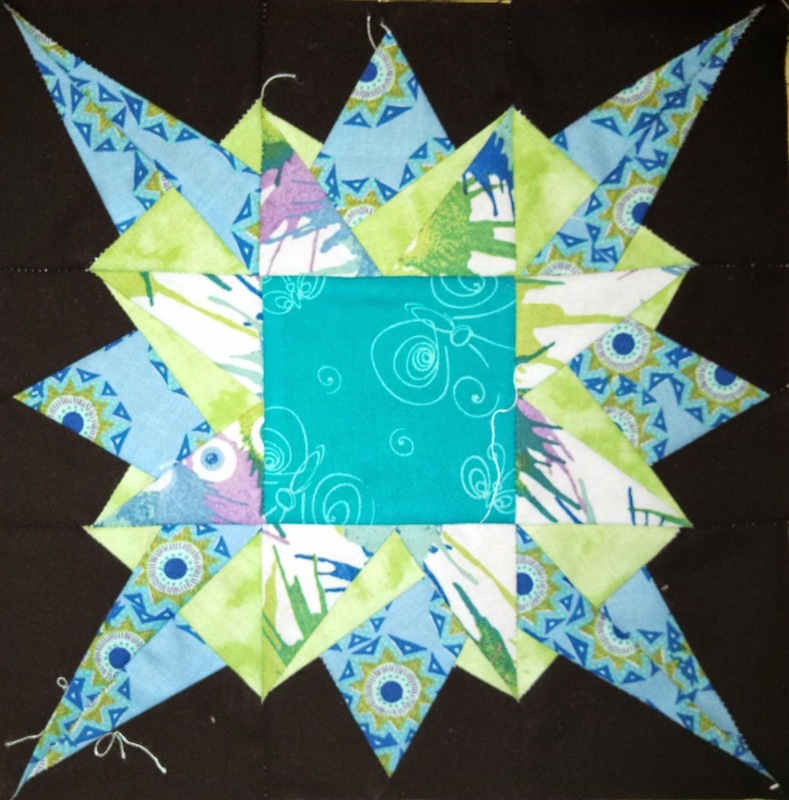 Don't forget to add your pictures to the Flickr group and show us your finished projects! 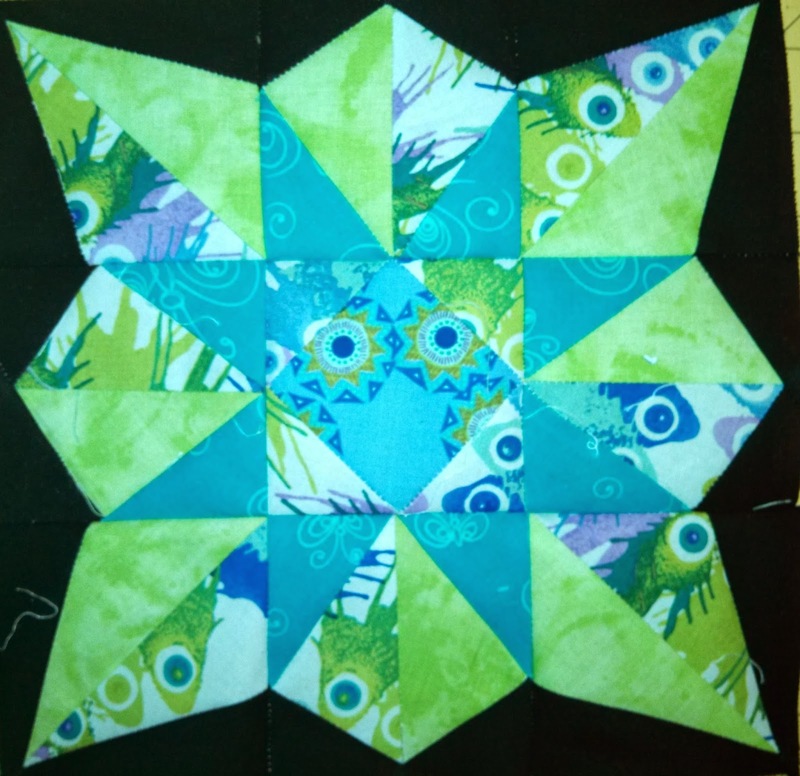 We'll do a blog post featuring your finished quilt tops in a month or so, so don't run away just yet!! 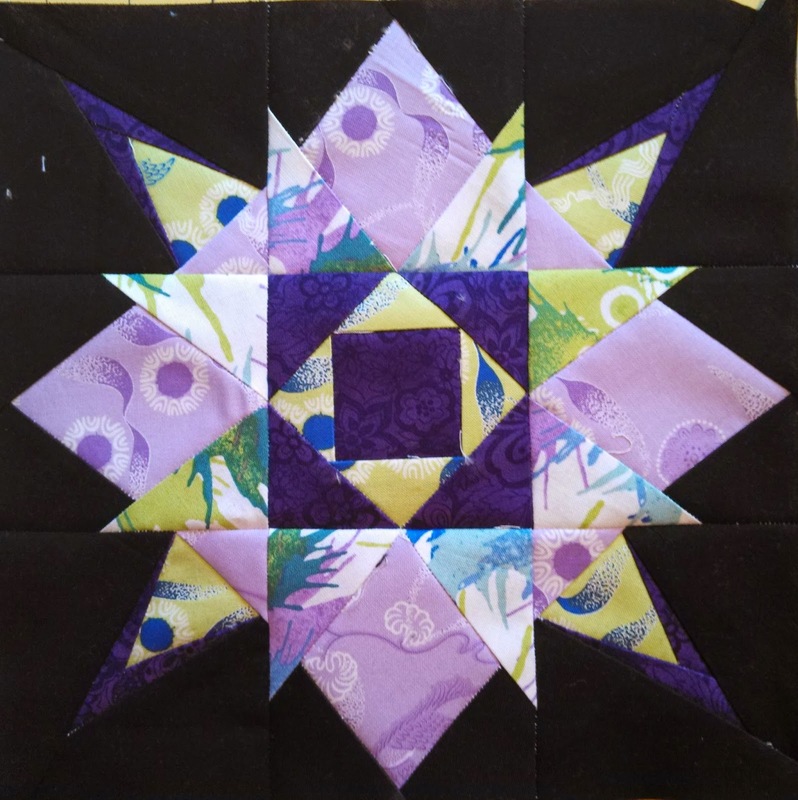 Show off all of your finished blocks!! We're here! It's the last block! Thanks for sticking with us thus far with our first (and certainly not last) quilt along! This one has lots of places to use up any small leftover pieces that you might have! Any questions, concerns, or comments? Head on over to the Flickr group and share your progress! Here are my last two blocks! 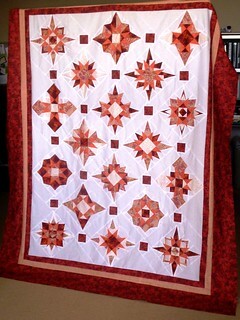 Watch for a post on our finished quilt tops and setting options next week! Look at all of that quilty inspiration! 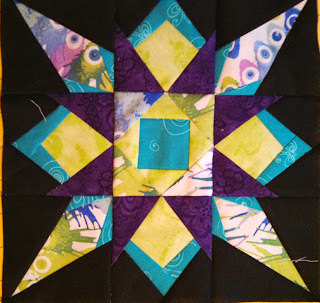 Secondly, only one more block next week! The time has simply flown by! Now, on to more pressing matters: block #8! 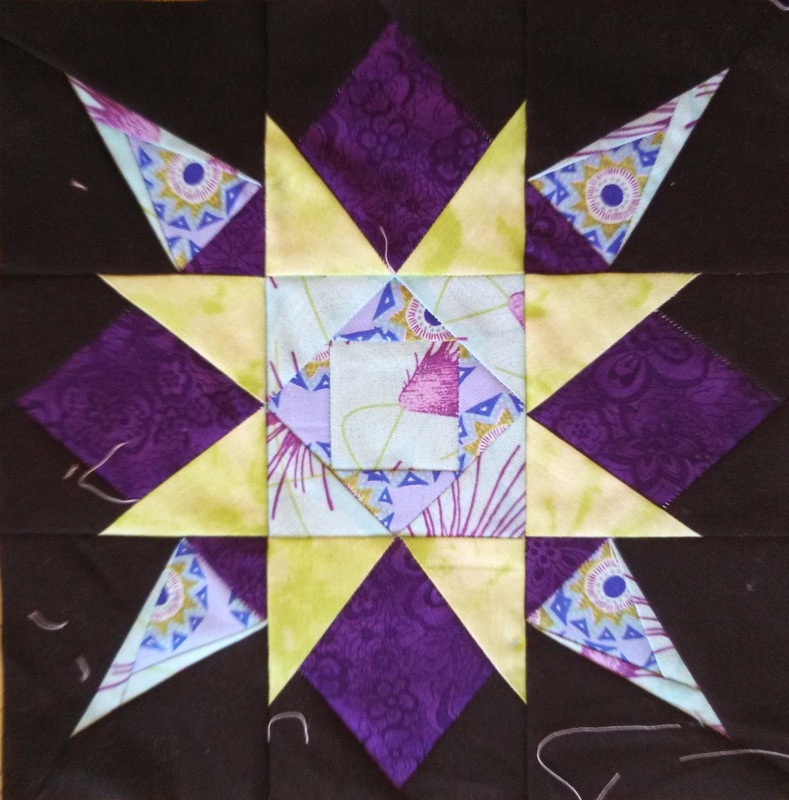 If I had these to do over again, I might rethink the placement of the darkest purple in my blocks -- at least under the lighting conditions these pictures were taken, the purple ends up fading into the black. I've emailed all of you and need your addresses ASAP! Thanks for participating! It's the most wonderful time of the year --- Giveaway Day (week) at Sew Mama Sew! This year I have not one, not two, but three stash bags to give away! 1. 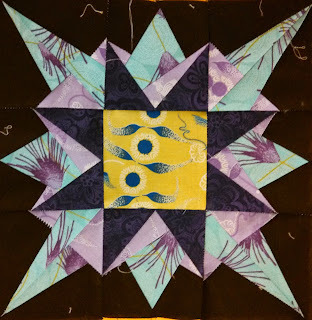 Leave me a comment with your favorite quilt block. 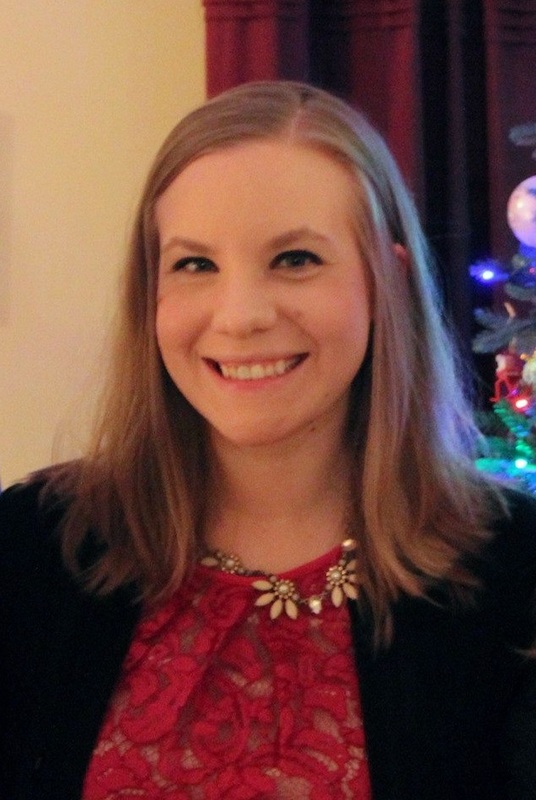 Links to tutorials are encouraged! Contest will close on December 13th at 8 PM EST (5 PM PST) and the winner will be announced shortly thereafter! The winnings will be sent out as soon as I get addresses from the winners! Good luck and go enter all of the giveaways at Sew Mama Sew! I can't believe we only have two more blocks to go! This week is Block #7. This one is a good one to show off some of your larger print fabrics if you're working with any. This one has pretty easy piecing -- I know a number of people are a few blocks behind, so this week is a good week to catch up! I started putting together some of the blocks that I have received thus far from being the Queen Bee in the Stash Bee last month. I have a few more that are currently on their way to me so I will finish piecing it all once I receive all of them. I finally added the side borders to the Harry Potter paper pieced quilt. I strip pieced the two side borders from 5 strips of light and dark brown fabric and then sewed them together staggered to make the final diamond like pattern. I am very happy with it and probably won't add any more borders to it. Now it just needs quilting! Hooray! Here's a close up of the trimmed and sewed side border. The way that I cut and sewed the two wood grain fabrics together ended up with the light grain going one way and the dark grain going the other so that they look woven! Hooray for happy accidents! Last year, I participated for a few months in the NuBees swap on Flickr and I just now have gotten my quilt finished. One of the perks of being married is having someone to hold your quilts -- especially when it is rainy and gross outside. 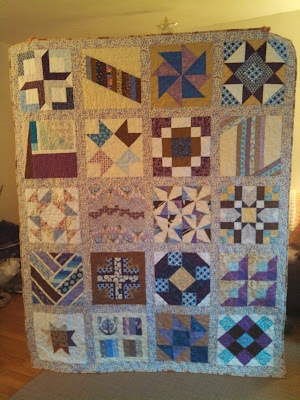 And here is the pieced backing that I put together using just my stash! I love being able to do that. 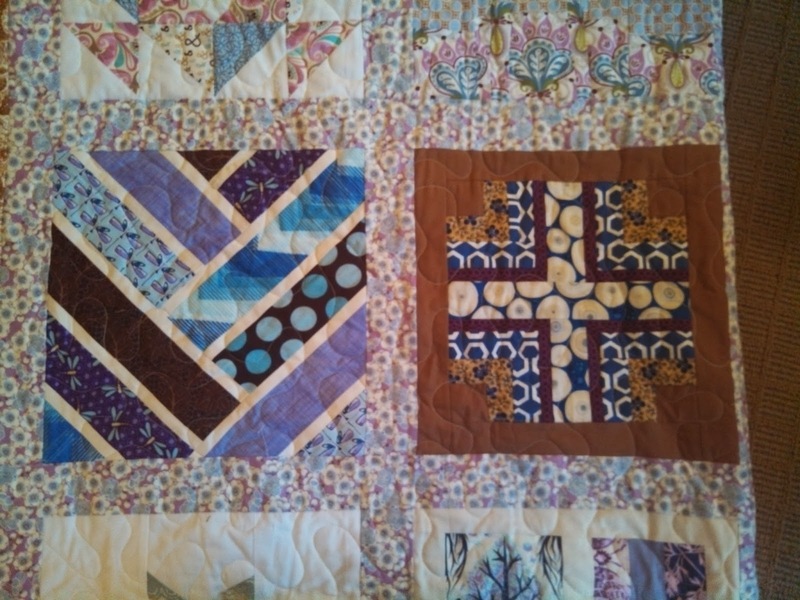 This was long arm pantograph quilted with a large meander -- here are my two favorite blocks! The cross block on the right is also my husband's favorite block. I bound this quilt with a half yard of Posh by Chez Moi that I've been hoarding for ages. Originally I planned to do a scrappy binding, but it just needed some more brown in the mix and this fabric fit the bill perfectly. Thanks to everyone who participated in making this quilt happen, especially Kim @ Crafternoon Delight, Marla @ Sew Hungry, and Anne @ Play Crafts! 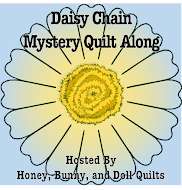 Sharing over at Crazy Mom Quilts! I haven't really had a lot of time to post things other than the Starburst QAL posts lately, and that has made me sad, so I figured I would do a WIP Wednesday update post. 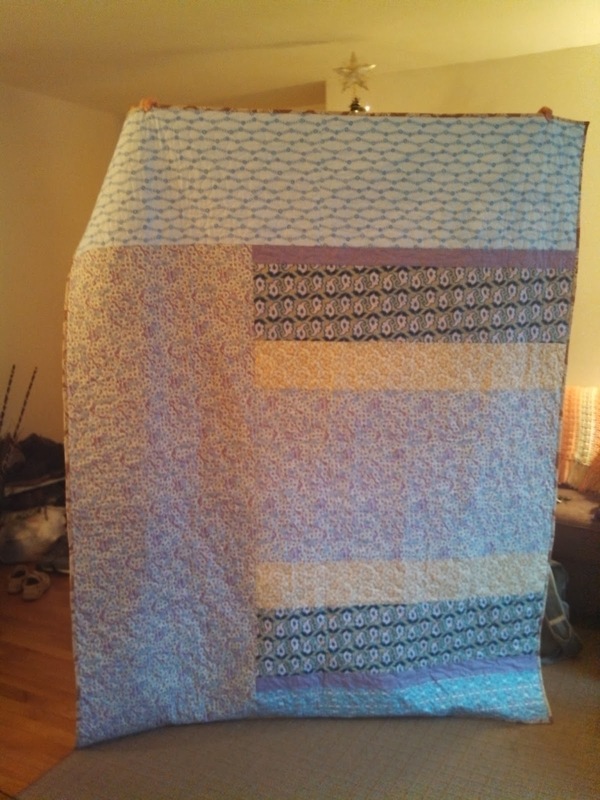 The intent was that I would add another row of blocks on each side to make it square and then add borders to make it queen size, but alas, I am out of the dark blue fabric and not sure whether to make a twin size as the pattern directs, quilt and bind as is for a large throw, add chunks to make it queen sized, or something else entirely. So this WIP goes back on the shelf. Sigh. 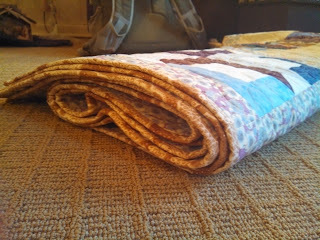 I did get my Nubees swap quilt back from my mom who had taken it to the long arm quilter at home and sewed the binding on it. (I'll try to add a picture later). That I should be able to finish this week. I am very much in love with how it turned out and I can't wait to share it! Linking up to Freshly Pieced! Can you believe we're already more than half way through the quilt along? It's gone by so fast! And once you finish these, only three more patterns to go!